Apple buried a tasty tidbit in Tuesday's HomePod press release, revealing that its Siri virtual assistant is being "actively used" on over half a billion devices, a figure up from more than 375 million in June. Not what I want. I wish to control the fan speeds, not just turn the fans on/off. Apple finally realizing that you can’t walk into a market you never been in before and then demand everything changes because you think it is better. So glad they realized the investments being made and leveraging software to solve security concerns over hardwired/never going to be up-to-date security chips. Yea. I am an Apple fan but I wish this was a segment they would stay out of. Homekit provides a nice local interface for sure. But the options are (have been) too restrictive, the routines are to simple and I find the external network connections to be very unreliable. The fact that I have a mac computer running 24/7 as a home server but I can NOT use it for Homekit is pretty stupid. Do you have a homekit hub (Apple TV or iPad) set up? I first setup the Apple TV and could never get it to work. I verify the TvOS version, made sure it was enrolled and verified it was set to never sleep. It just never worked. I tested it on my son’s ipad where it does work, but is unreliably slow and often many tiles time out as “No Response”. However, I can log into the individual apps (Ecobee & Hue currently) and verify everything is working. Works great when I am home however. I do plan to install ipads in place of my alarm panels in the future and perhaps I will have better luck then. Again, just shortsighted that I cannot use an already on MacOS running server to perform this same function. Uh huh. Why spend $39 on an Android tablet, when you can spend $600 on an iPad that does less of what you want? Don’t get me wrong. I’m currently typing this on an iPad, which is my 2nd. I like this product. It’s just waaaay overkill as a device dedicated to home automation. Especially when its automations don’t stack up to what can be done less expensively AND better. You can get a new iPad starting at $329 ($319 at Costco), and lots of used choices at under $250. I’m not saying they aren’t significantly more expensive than an android tablet, obviously they are, but if you’re spending $600 you’re not buying a basic model as a home automation controller. As far as “less of what you want” that depends on what you want. iBeacons work much better with an iPad than they do with an android tablet. Local home automation for a simple lights and sensor system that runs without requiring a lot of maintenance will be immediately available on an iPad. And if you need accessibility options, they are both better and have more choices on an iPad. It’s literally an “apples and not apples” comparison – – they don’t offer the same exact set of features. If an android tablet does everything you need, obviously the prices is in its favor. But there are many of us find that an Apple iPad gives us features that the android doesn’t. And for some of us, that extra cost is worth it. Choice is good. But primarily is because I already have them. My kids I’ll have to get new iPads when they reach fourth grade at school and we get a discount it through the school. So starting this summer I basically get one new iPad each year for the next four years for about $170 and the old ones go up the wall. Secondly, i can use them in my house forothr purpises. A wall mounted ipad in my house will contro about 7 different items in my house - of course the android could do all this too. Thirdly, I manage all the idevices in my house via OS server, so adding them creates no new work for me. Updates and apps are pushed through and the devices will be locked for their function. So for me personally, ipads are a more seemless way to approach it. For better or worse, my house is an apple ecosystem. I took it on my knees for Steve Jobs lol. It has its weaknesses and disadvatafes. But for a busy house with four kids…it all just works. Im also keeping Homekit open. Im not pleased with it now but it works well in limited scope and can serve as an alternate interface to ST, especially with Siri control. I first setup the Apple TV and could never get it to work. which version of the apple tv do you have? I wont be able to check until tonight but is the new one from early 2017. Its hardwired on my network so its not a wifi issue. Can we get a Smartthings employee to chime in on this thread? Any interest here to enable this for users? If getting commercial support is difficult through MFI, can we consider an option for users to develop a smartapp to directly authenticate with Apple’s HomeKit cloud? A couple of different things here. First, smartthings have said for the last year that they are not going to comment anymore on future plans. So I don’t think we’ll see input on that. Second, HomeKit doesn’t have a cloud. Everything runs locally except for voice recognition through Siri. So all of the device authentication is done locally. Right now the Apple side of the software options discussed in this thread are in early closed beta, but rumors are that it will be released as part of an iOS update later this year. A lot of manufacturers are waiting for that. We’ll just need to see how smartthings responds at that time. Thanks so much for your fast reply - and after a glance back at the software authentication doc via Homekit, you’re right. There isn’t a software cloud to sync with. 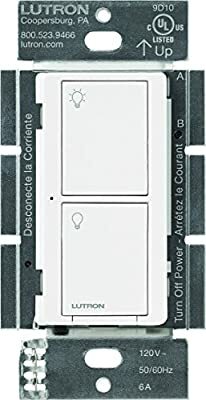 What it might require though, is that Smartthings open up its disabled bluetooth support for a smart app to be able to act as a HomeKit connector, without Homebridge. I have Homebridge running currently on a raspberrypi, but it’s generally unstable and does require a hardware bridge device at home running constantly. It appears that 11.3 will enable Homekit software authentication, so fingers crossed that Smartthings takes this path towards an official (or beta sans-raspberrypi) integration! So just going to leave my two cents. I am sure I can get one of these alternatives going in a VM but I am shocked that the App that we are supposed to use relies on Samsung’s datcenter with no local control. If I would have realized this I might not even have SmartThings in the house. Platform is down which is why I am here. I see I can access the API webpages and see my devices but I can’t turn anything on/off. We have a recirculating pump on a zwave switch and I currently can’t control it. They need to add HomeKit support just so I can flip the switch locally directly to my hub. I am going to have nightmares now knowing if Smarthings is no more the hub is useless.